When you exercise, music can be your perfect workout partner. 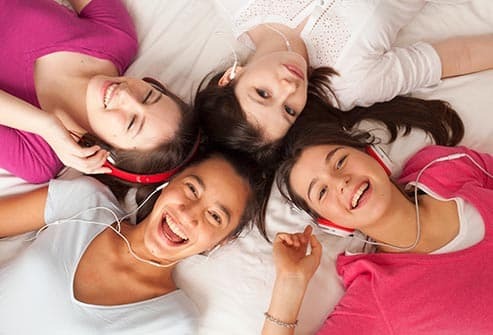 "You want to find music that gets you excited and energized," says fitness expert Shirley Archer, personal trainer and spokesperson for the American Council on Exercise. "Your foot starts tapping. You start shaking your shoulders. You can't sit still when you're listening to it. That's the kind of music you want to have for your workout." When you work out, music can make you forget how hard you're working. It can motivate you to keep going. When you sync your moves with your music, you can have better form and work out longer. 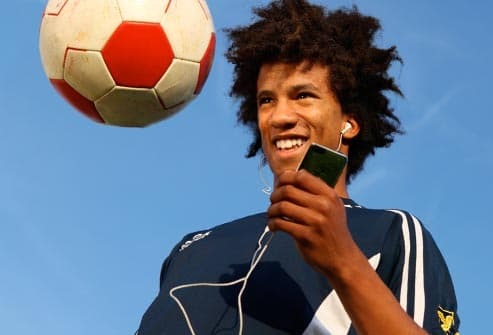 "The right music can also provide stimulation and make you feel both more energetic and mentally positive," says sports psychology researcher Costas Karageorghis, who has made playlists for Olympic athletes. Remember, you want to try to get 60 minutes of exercise a day. Don't just hit "shuffle" and start moving. If you do that, you're likely to run into songs that bore you or slow you down. Then you'll keep hitting the "next" button. That can be distracting, get you out of the zone, and make it more tempting to stop exercising. 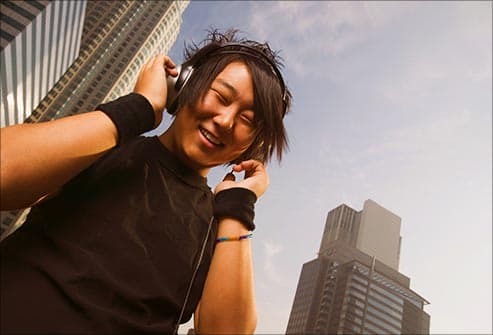 Before you work out, take some time to put together the right mix of music. Your first song should inspire you, but shouldn't be too fast. "This is probably the most important song because it's what's going to motivate you to actually get up off the couch and do something," says Sean "Hollywood" Hamilton, host of "Weekend Top30" and "The Remix Top30 Countdown." Get up and warm up while this song is on. Build-up. This is your first fast song. Pick something fun. Pump-up. 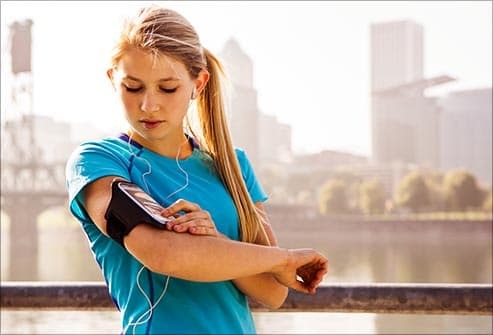 Keep your tempo up with fast, exciting, rhythmic music for the middle of your workout. Keep-up. During the last third of your workout, your energy may start to sag. Choose a song you love with motivating lyrics or a really catchy beat so there's no way you can slow down. The best workout songs have a tempo of at least 120 beats per minute (BPM). 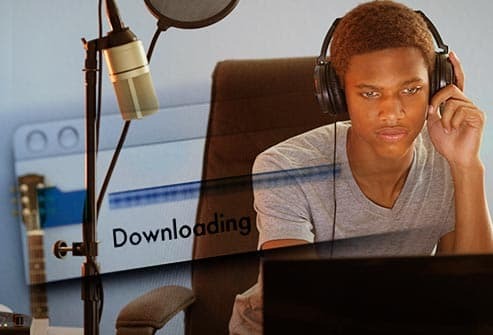 You can usually find out the BPMs of a song by searching online. Most people seem to like exercise music in the 120-130 BPM range. That's where most dance remixes are. If you know you're going to be working out hard -- like running -- look for music that's faster than 130. 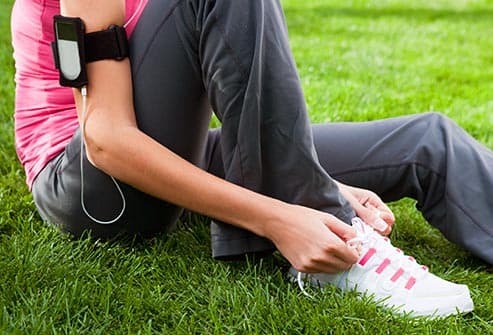 For the cool-down part of your workout, choose slower songs. You might love some great songs that have beats that aren’t so great for working out. No problem. Look for remixes of your favorite tunes. These are faster dance versions with driving beats that are perfect for exercise. Or download a music-mixing app for your phone, tablet, or computer, and make your own mixes. You can change song speeds, add special effects, and make your own cool playlists. When you've worked out for a while and are ready to cool down, choose a ballad or slower song to ease yourself back into non-exercise mode. Cap off your playlist with a song you just like to sing along with or just love a lot. That's your "I did it!" anthem. 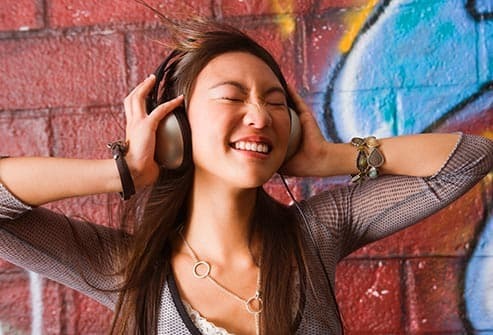 It can make you pumped to have your music blasting, but it's bad for your ears. 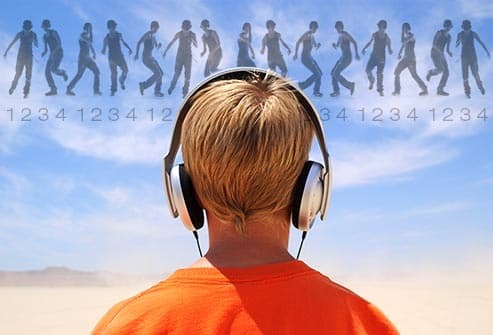 When you combine loud music with cardio workouts, you can end up with ringing in your ears or even hearing loss. The key is to have your music only loud enough that you can still talk -- without yelling -- to the person next to you. Even songs you love can get boring when you hear them over and over. So come up with a few different workout playlists and rotate them. Ask your friends for songs they like, too. Sometimes you can get lots of energy from new songs that you're just discovering. Costas Karageorghis, sports psychology researcher, Brunel University, London; author of Inside Sport Psychology. Sean "Hollywood" Hamilton, host of "Weekend Top30" and "The Remix Top30 Countdown." Shirley Archer, spokesperson for American Council on Exercise, author of 15 fitness books including The Pilates Deck and The Strength & Toning Deck.